Member's only Happy Hour hosted by Rivers Casino. 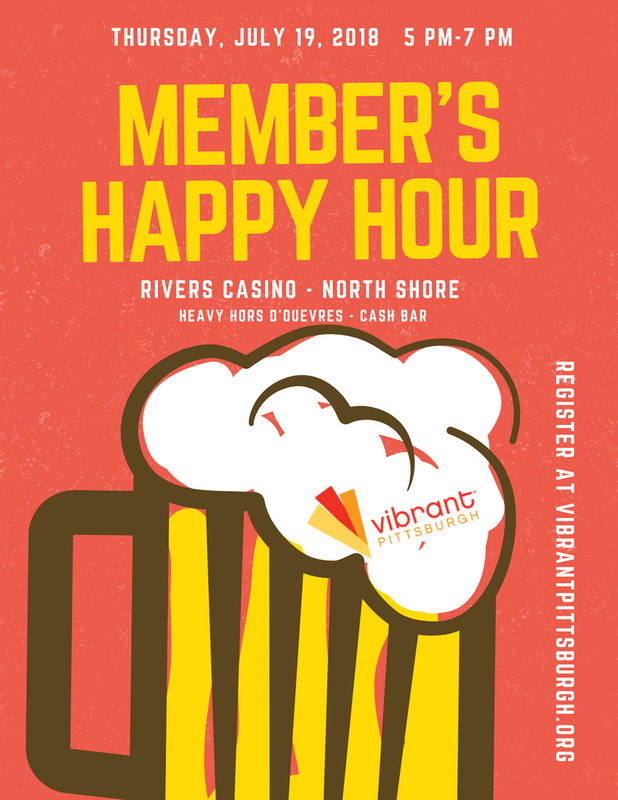 Enjoy heavy hors d'oeuvres, door prizes, and networking with fellow Vibrant Pittsburgh members. Cash bar. Free Parking in the Casino garage.